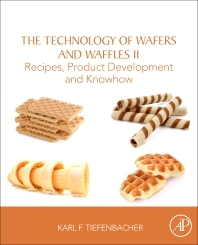 The Technology of Wafers and Waffles: Recipes, Product Development and Knowhow is the definitive reference book addressing new product development in wafers and waffles. As a companion manual to The Technology of Wafers and Waffles: Operational Aspects, it provides a varied selection of recipes for different types of wafers, waffles, and fillings. This book discusses flat and shaped wafers, ice cream cones, cups, wafer reels, wafer sticks, stroop waffles, and North American frozen waffles. A separate chapter focuses on recipe calculations for wafer and waffle batters, doughs, and fillings, which allows estimating output, cost, and main nutrient content. Finally, there is also an overview on the patent and food science literature on wafers and waffles in chronological order.